Kickstarter brings us a lot of new and wacky ideas that come to life after they've been funded by the community of so called backers. Although the Cookiecase Touch is a premium case for the iPod Touch 4G, it isn't described as an iPhone 4 look-alike case but who are you kidding? 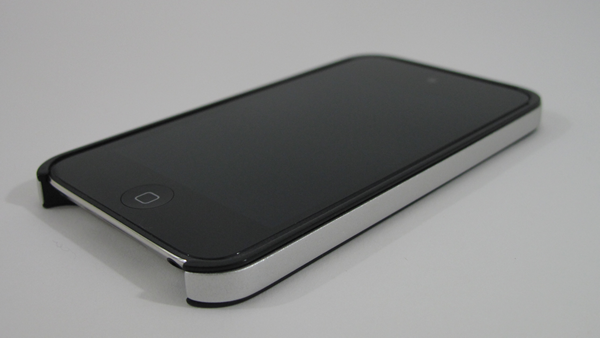 It looks exactly like an iPhone 4 and it even sports an anodized outer aluminum band. The Cookiecase Touch case is a mere prototype as of now, however if you want to own your very own Cookiecase Touch you can start backing Cookiecase on Kickstarter for $35.